If you are reading this means you are planning to visit Nepal by road on car or motorcycle. 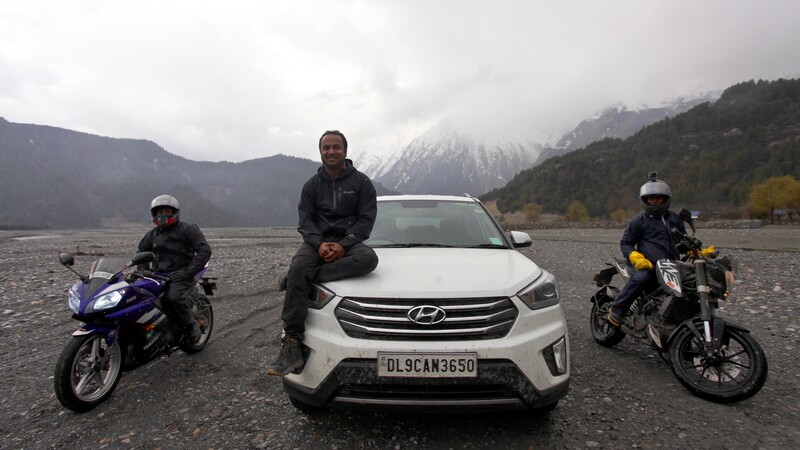 We did a road trip from Delhi and Durgapur to Muktinath in Nepal on car and motorcycle in March 2019. We looked all places to gather information for the first international road trip. No doubt Nepal is beautiful and this blog will list out everything you need to know for planning and executing a road trip to Muktinath or Nepal in general. There are multiple slip points from India to Nepal. We used Sonauli. This is one of the busiest borders between India and Nepal. 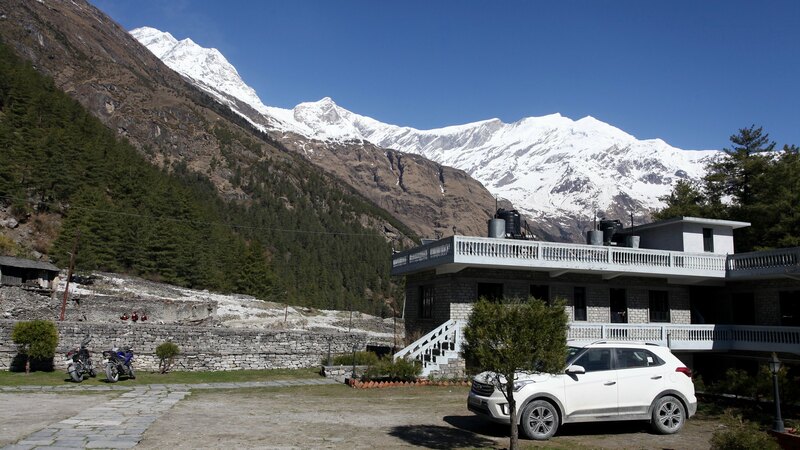 If you are planning to visit Pokhara or Kathmandu or Chitwan or Lumbini or any point in central Nepal, then this is the point to cross provided you are travelling from North India (Delhi, UP etc). The road condition upto Sonauli from Delhi is excellent. It will take approximately 12 hours without stops to reach the border from Delhi. The route goes through Agra-Lucknow-Ayoddha-Gorakhpur. Ofcourse it is possible to bypass Gorakhpur and reach the border directly. We suggest to stay a night in Gorakhpur and explore the small town and visit the temple there. Toll cost from Delhi to Sonauli is approximately Rs 1650 for a car. The road is excellent. Our motorcycle riding friends entered from Bhimnagar border in Bihar. They made the bhansar at Sunsari Customs Office near the barrage on Kosi River. What you need to cross over? Actually while you cross from India to Nepal, no one will stop you on India side. Once you cross, just on the right side of the road after the big gate, there is a parking lot. You have to park your car and go to the office on left side of the road for permits. 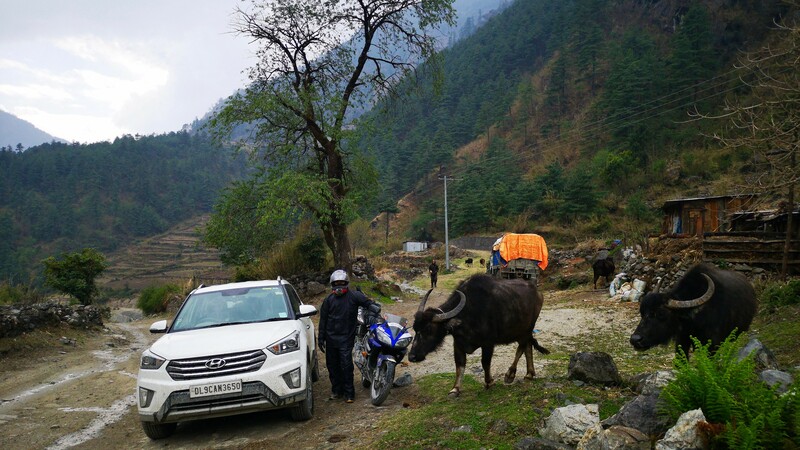 Bhansar – To drive your car in Nepal, you will need a permit. It is called Bhansar. It cost NPR 450 per day. You have to produce the driving license and registration certificate original. The officer on the counter will fill the form and then advise another officer to get your car checked. Once checking is done, you have to pay in the counter and get the stamped permit. The office accepts Indian currency (Rs 100 bills). For motorcycle the cost is NPR 113 per day. Once your Bhansar is done, drive ahead in to Nepal and stop about 4 kms inside the border where there is an office for road tax. You have to pay road tax for your car here. The charges are NPR 60 per day. They accept Indian currency (Rs 100 bills). No separate road tax for motorcycles. Once you get a reciept you are good to drive around Nepal. Keep the documents carefully as police can stop and ask to show the permits. Permit will cost you Indian Rs 320 per day per car. For motorcycle it costs Indian Rs 116 per day. You need to carry Drivers License and Registration Certificate in original. No personal id is checked for crossing over to Nepal. However it is better to keep some id with you if you are going to Nepal. The road from Sonauli to Pokhara is good with some rough patches. It takes around 5 hours drive time to reach Pokhara from Sonauli via Muling. Do not take the short route via Butwal as you will end up driving slowly on the hilly terrain. The views from Prithivi Highway on a clear day are excellent. The road from Pokhara to Beni is in bad shape. Some sections are smooth while most is with potholes or no road at all. It seems like the road is going through widening project and it may take time to get this finished. It takes 2-3 hours to reach Beni from Pokhara. There is absolutely no tar road from Beni to Kagbeni in Mustang. Beni to Kalopani (beyong Tatopani, Ghasa, Lete) is very bad – or off road. Kalopani to Kagbeni is offroad but is safer than the earlier stretch. The drive though the river bed section can be very very dusty. Further to this road construction may block the road during a certain period of the day. Now the road is closed from 7:30 AM to 11:30 AM and 2:30 PM to 5:30 PM. With construction at multiple location, plan you stops accordingly. 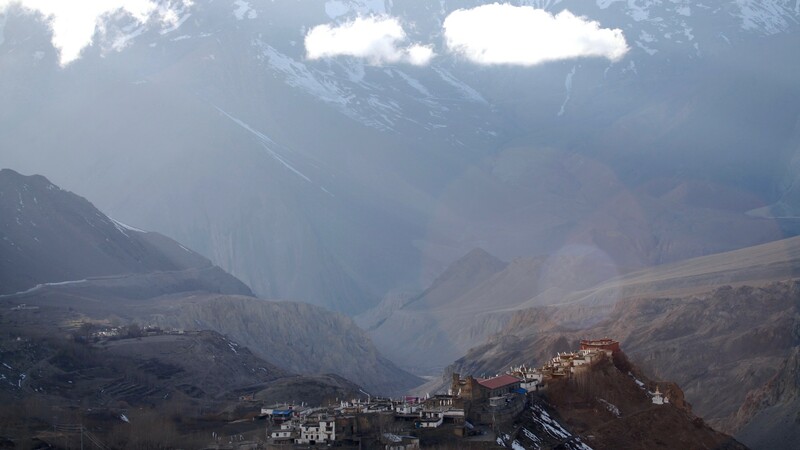 Kagbeni to Muktinath is smooth tarred road and an amazing drive to enjoy. No cars are allowed beyond Ranipauwa. You can ride your motorcycle all the way to the temple. A 4×4 vehicle is preferred. 2 wheel drive vehicles with high ground clearance is OK and can do the stretch with some care. Driving skills are particularly important as tyres tend to slip in the slush or soft powders. Visibility can be very bad or zero when someone crosses you or it gets windy. Accommodation in Nepal is relatively cheap. It depends on your choice. Guesthouses and dorm beds are best for budget conscious travelers. Below are the places we stayed and recommend. very good location (close to the Phewa lake and all the action around it) – very good hosts – clean rooms and bathrooms – breakfast included – can cook delicious meals to order – parking available for car and motorcycle – super cheap (NPR 500 per bed including breakfast). Wifi is good. very good location (almost at the top) – clean rooms – hot water – good food – parking for car and motorcycle – NPR 1200 for 3 person room. Wifi is good. Located just above the hot springs this is a amazingly beautiful guest house with garden of orange trees and view of Nilgiri. The food is good. The guest house is quite famous and they are little annoying in terms of behavior (not really friendly). No parking is available at the hotel. You need to park at the road or nearby bus stop. The hotel is generally full and you may not get towels for all members. So plan accordingly. Wifi is good. Amazing hotel with brilliant views – great rooms – on the pricy side with rooms costing NPR 1500 per night (for 4 beds) – parking available for car and motorcycle. Wifi is good. Kalopani guest house is the most scenic hotel we saw in the entire stretch. We definitely recomment Hotel Little Asia at the end of the town opposite to the TIMS checkpost. Great hosts, amazing food and nice views. Hotel Muktinath is also having a nice restaurant with views of the airport but the hosts are little rude and not very welcoming. Amazing hotel in the market – comfortable rooms – great hosts – nice coffee shop – rooms costing NPR 800 per night (for 4 beds) – parking available for car and motorcycle. Wifi is good. Petrol is available all the way till Beni. But it is better to fill up petrol in Pokhara or Kushma before heading any further towards Beni. Petrol is slightly cheaper than in India. For motorcycles, the small villages higher in the Kali Gandaki valley sell on glass bottles. What about cash and money? Almost all places except for TIMS and ACAP permit, you can use Indian Rs 100 bills. Some stores will even accept other Indian bills but be careful, as it is illegal. SBI ATM works here and you can withdraw cash with a service charge or INR 300 per transaction. We never had any problems with use of Indian Rs 100 bills. The whole trip was done with this. 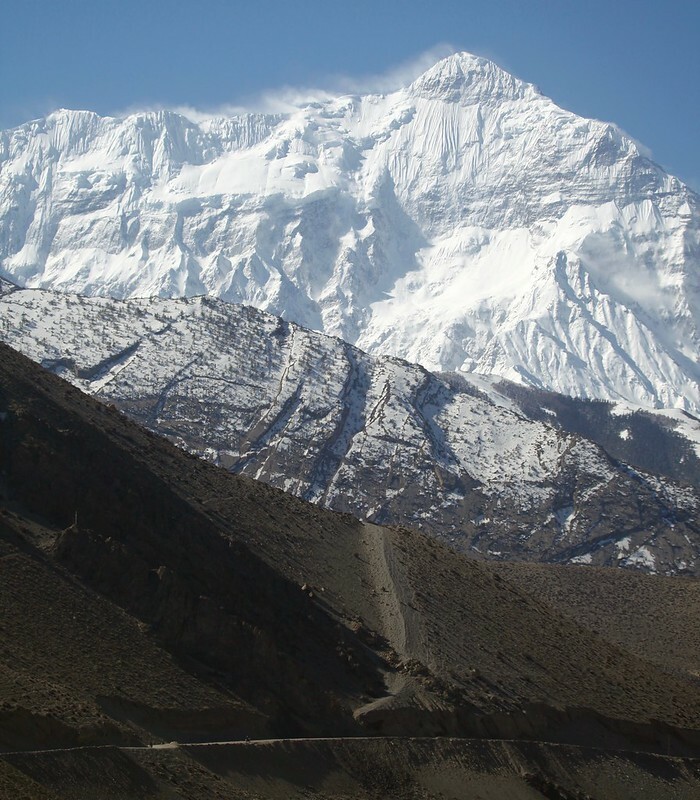 If you are entering the Annapurna area, you will need the permits. Get them in Pokhara. 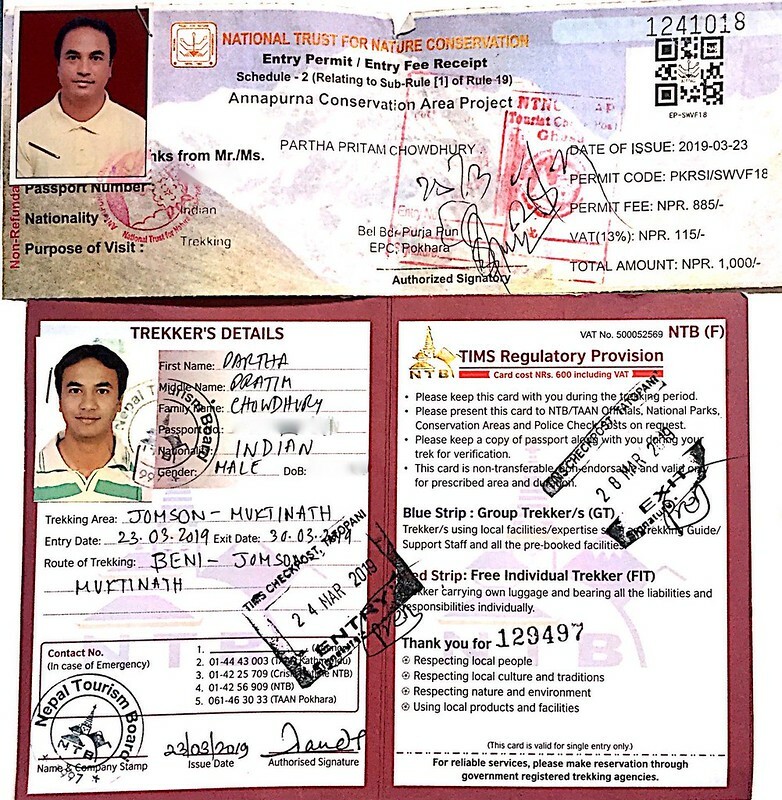 You will need TIMS and ACAP permits to visit Muktinath. TIMS is for hiking in the area and for any hiking activities in Nepal. Now insurance is mandatory. So carry your Indian insurance (life or health or medical insurance card). Without this you have to buy local insurance for your duration of travel. ACAP permit is required to enter the region. This two cards will be checked several times beyond Beni all the way till Jomson-Muktinath. So keep them safe and handy all the time. Preparing the permits is easy. You can get free photographs in the office. But better is to carry your passport photographs. Please note that the office accepts only Nepal currency. As a minimum carry 6 passport size photographs. It is costly to click photographs in Nepal. Day 2 – Reach Pokhara. Relax near Phewa Lake. Must visit Paradise Bar for live rock music. Day 3 – Get TIMS and ACAP. Visit World Peace Pagoda. Stay the night in Sarangkot. Day 4 – Amazing sunrise from Sarangkot. Head towards Tatopani. Reach by evening and enjoy the hot springs. Great views of Nilgiri Peak. Day 5 – Reach Jomsom. On the way explore the views and landscapes. 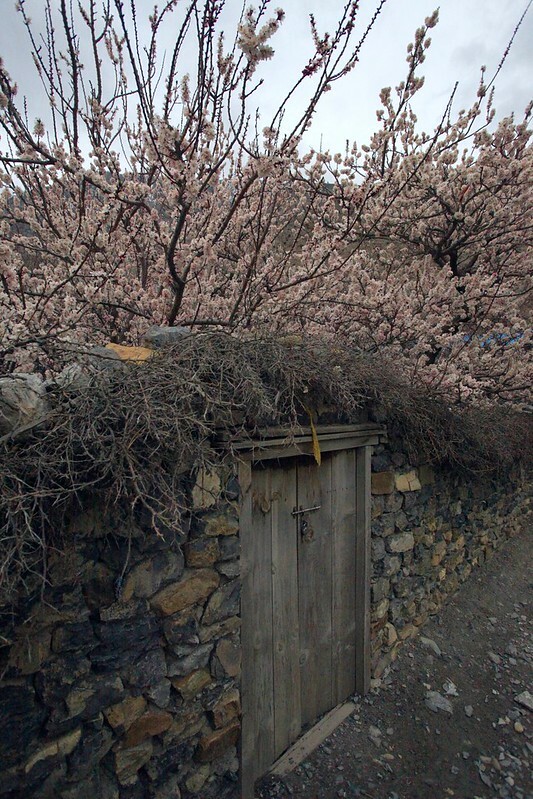 Day 6 – Muktinath and nearby villages. Day 7 – Drive down exploring Marpha village and stay at Kalopani. If time permits day hike to Titi Lake and Kunjo village. This can be done on motorcycle also. Day 8 – Drive to Pokhara and relax. Day 9/10 – Leave for India. Have any questions? Leave us a comment below.